While no one can deny the fact that boat lifts offer waterfront homeowners numerous conveniences, “protecting my investment” remains the number one reason boaters invest in these home improvements. After all, keeping your most prized possession above tidal fluctuations and well out of harms reach from wind, waves, marine growth, and corrosion from harsh saltwater is critical to the longevity of our vessels. For waterfront homeowners, it is obvious that storing your boat on a lift offers a huge convenience factor. For starters, you can forget about fighting the crowds at the launch ramp as well as the numerous headaches that go along with maintaining a trailer. While tying up is easy, lifting your boat high and dry when not in use is even better! Not only does the convenience of a boat lift improve your overall boating experience, boat lifts increase the value of your home and help maintain the value of your boat. Furthermore, boat lifts make it easy to inspect your vessel with great detail; whether it’s for a safety check, routine maintenance or thorough cleaning. Boat lifts allow you to reach all sides of the hull and visually inspect thru-hull fittings, transducers, trim-tabs and props. Boat lifts make routine maintenance and docking a breeze. While purchasing a boat lift may sometimes seem like a hefty investment, in reality, they actually pay for themselves over time. Go ahead and calculate what it costs to haul-out your boat annually to apply expensive anti-fouling coatings, or the routine maintenance required to keep your trailer functional. It is an industry fact that applying bottom paint automatically reduces the resale value of your boat by as much as 10-percent. The bottom line is that boat lifts are relatively maintenance free and make your boating and fishing experiences much more convenient and enjoyable. How to select a boat lift? Much like the rest of the marine industry, the last decade has seen significant innovation in the boat lift market with more yet to come. Options now exist to suit nearly every dock configuration, tidal range and type of craft. While there are a wide range of manufacturers and styles available, if you do your homework you will certainly find the proper boat lift for your particular application. Manufacturers usually categorize their products by weight capacity. Other important considerations include the depth of water at the dock, length of your vessel, beam length, type of hull (deep-V/catamaran) and propulsion (inboard/outboard). It is also important to remember that the dry weight listed for your boat is not your vessel’s total weight. You must compensate for fuel, water, tackle and gear. Vessels powered with outboard engines do not generally include the engine(s) weight in the overall displacement, so that must also be added in. When you begin to investigate your boat lift options, the plethora of choices will likely overwhelm you. 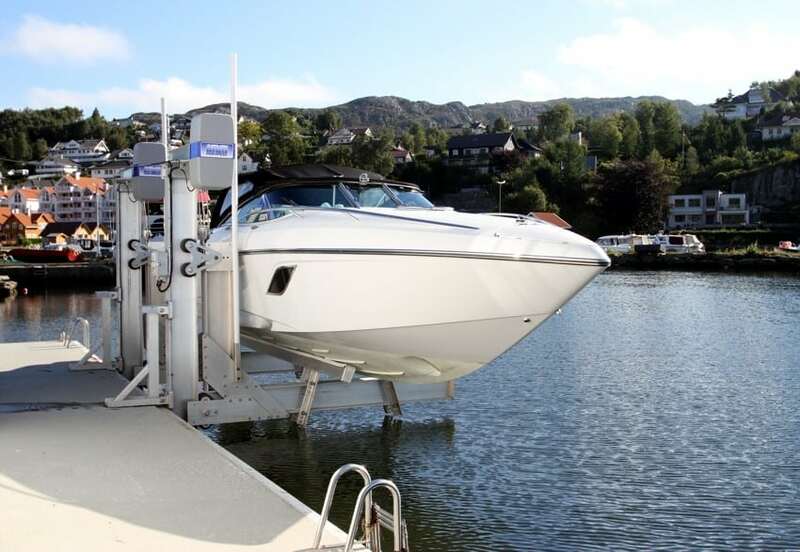 The boat lift choices can be distilled down to a few basic types that you should consider; standard four pile beamed cradle lifts, elevator lifts and boathouse lifts. The four pile beamed cradle boat lift is currently the most efficient design for a cable-drawn lift. 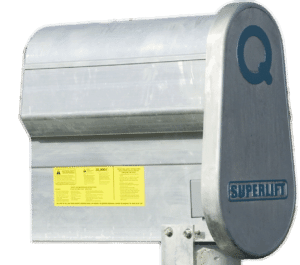 This type of lift was developed a couple of decades ago and has become the industry standard. It can be recognized by its parallel upper beams that each contain a motor driven shaft through their length on which four cables are wound. The cables are connected to the four corners of the boat cradle, which is raised or lowered by clockwise or counterclockwise rotation of the shaft. Four post lifts out-sell all other lifts combined due to the fact they are less expensive and are easier to maintain and install. These lifts can be deigned to work with any sized vessel. 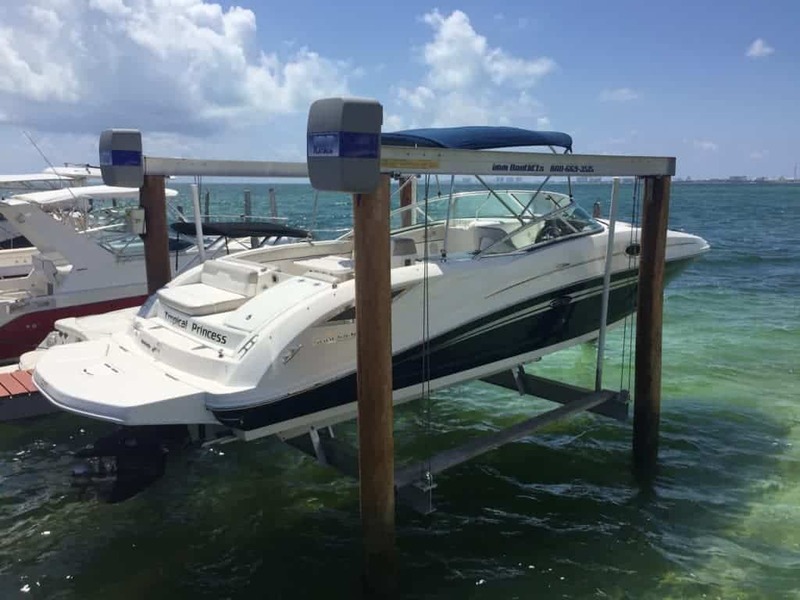 The “top beams” of these lifts can be set in a “low-profile” configuration, which allows you to use a covered top beam as a boarding platform for easy access to your boat. 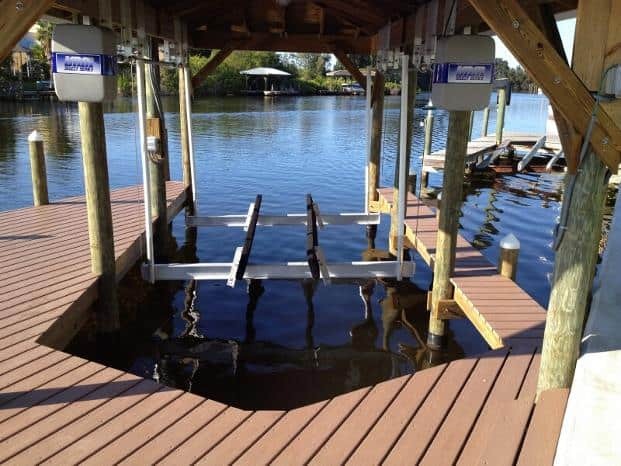 Elevator style lifts are another popular option and they are ideal for use on restricted waterfronts where outboard pilings are not allowed, such as on narrow canals, or where the driving of pilings is difficult due to hard bottom conditions. 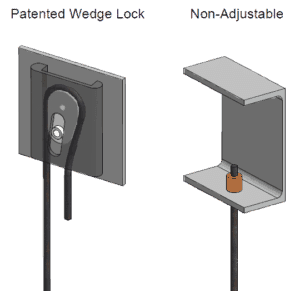 Elevator lifts can be mounted on seawalls or pilings and in a vertical or inclined position. Elevator lifts are available with capacities up to 30,000 lbs. and custom designs can accommodate larger vessels if the strength of the underlying dock / seawall structure is adequate. The only drawback to an elevator lift is a higher price tag than four post lifts. For homeowners fortunate enough to have a boathouse, adding a boat lift is a fantastic idea. Traditionally, boathouse lifts were custom designed for each application where the top beams of a standard boat lift used special riser brackets that supported the boathouse rafters and roofing structure. If you are considering building a boathouse with this style of boat lift installation, it is important you contact your intended boat lift dealer first to ensure a seamless installation. As you can imagine, maintenance and repairs to your boat lift could be problematic with a riser bracket style of boathouse installation. Even worse, if you decided to replace your boat lift, you would have to remove the roof of your boathouse to do so. That is why the invention of hanger brackets has greatly improved the industry. The hanger bracket assembly slides over the structural stringer bands of the boathouse. Once in place, the hanger brackets are fastened to the structural stringer bands using stainless steel bolts that require no drilling of the bands. 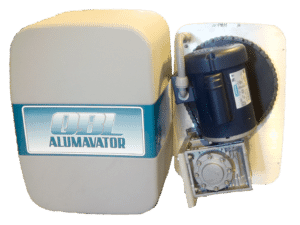 The boat lift components hang from the bracket assembly with this style and can be easily maintained, repaired or replaced. This makes hanger brackets the most effective way to mount a lift inside a new or existing boathouse. Your next consideration should be the drive system. The venerable flat plate was introduced over 40 years ago. This economical option has the slowest operational speed, it is very noisy, messy and is hampered by its belt drive. The belt drive requires frequent maintenance and is prone to slippage and breakage. The chain drive has largely replaced the obsolete flat plate drive. The chain drive is an economical choice with good operational speed and high shock load durability. The chain drive does require annual maintenance. There are many types of gear drives available, but the most common use dual worm gears. These gear drives are fast, do not require any maintenance, and now are more durable than the flat plate. The downside is that they are considerably more expensive than flat plate or chain drives. Another choice is hydraulic drives. 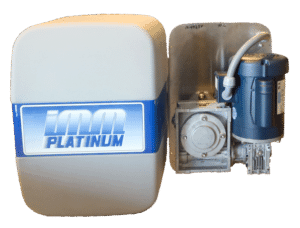 These drives are very fast, but they have been found to be extremely susceptible to saltwater corrosion, prone to hydraulic leaks, are complicated to maintain and they are extremely expensive (generally double the price of a gear driven lift of the same capacity). The previous styles of drives all rely upon extremely inefficient gearing (or hydraulic pressure) so that they can save money by not having a brake on the lift. Kind of scary, but it works. The final type of drive, the cycloidal drive, is different from the rest because it is extremely efficient (greater than 95% for cycloidal drives compared to approximately 35% for the others). The high efficiency results in very fast lift speeds, even faster than hydraulics, but it requires the use of fail-safe brakes, which adds to the cost of the lift. 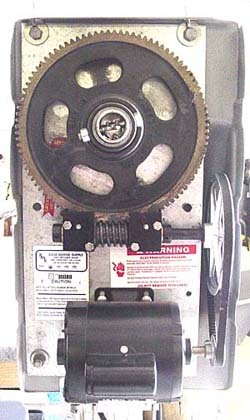 Cycloidal drives are also gearless, so they don’t have any gears to grind together, wear down, lose teeth and lock up. Consequently, cycloidal drives have legendary durability and come with a lifetime guarantee. Cycloidal drives are also the most powerful drives in the industry. One manufacturer claims their gear drives are the most powerful in the industry with 8,000 in. / lbs. of torque, but cycloidal drives with 34,000 in. / lbs. of torque are routinely used on boat lifts and cycloidal drives with up to 521,000 in. / lbs. of torque are available to use on mega yacht lifts. Although they are less expensive than hydraulic drives, the major drawback to cycloidal drive systems is that they are more expensive than the other drive systems. However, if only the absolute best will do, and you want the fastest, most powerful and durable drive system, the cycloidal drive is the only choice. 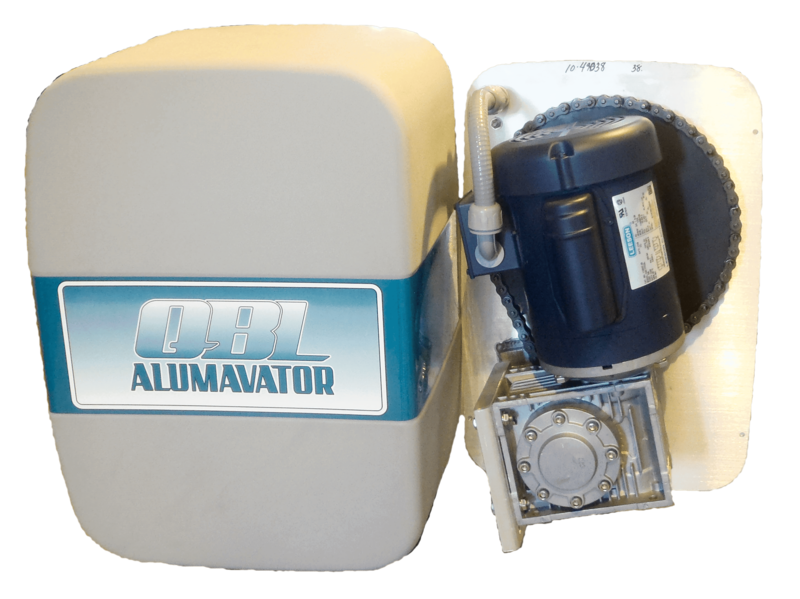 Finally, you need to consider the other components on the lift to see if they will make your boat lift easier and more convenient to use. Does the lift use pulley and drive shaft bearings that require lubrication? Do you really want to climb out onto your cradle and top beams, find the zirk fittings and grease up your drive shaft and pulley bearings every 3 months, or would you rather have a lift with maintenance-free self-lubricating bearings? Would you rather have a lift that uses cables with fixed ends that can’t be adjusted once installed and must be cut off and repaired during cable replacement? 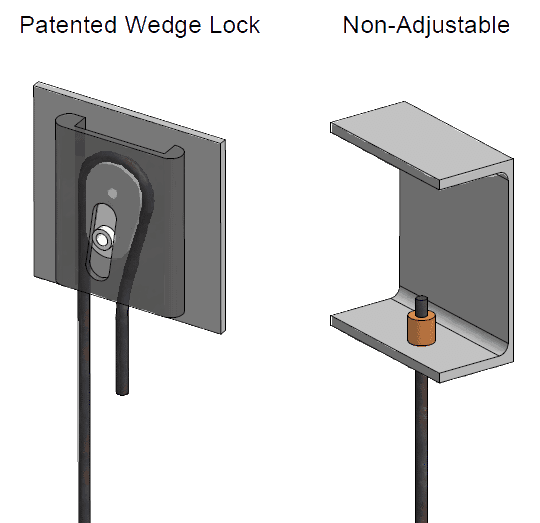 Or would you prefer a lift with wedge locks that allow for easy adjustment of cable length to level the cradle, adjust the pitch of the boat and make cable replacement easier? Do you want a lift designed with cable keepers or cable rollers to ensure proper cable winding and extend cable life? 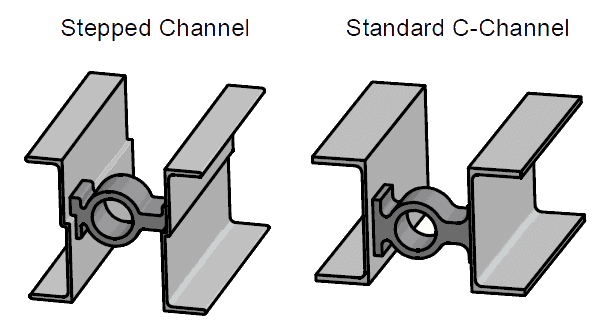 Do you want your top beams made with stepped channel which provides structural support for the drive bearing blocks and eliminates shear loads on the weld? 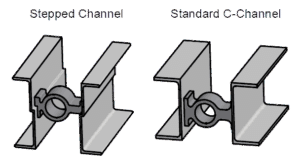 Or would you prefer your top beams be made from standard C channel with the entire load held up by the weld? Do you want wood bunks or aluminum bunks? Does the manufacturer use UV resistant non-marring white vinyl that requires no top-side rivets or do their bunks use black plastic with top-side rivets that can mar and scratch your hull? 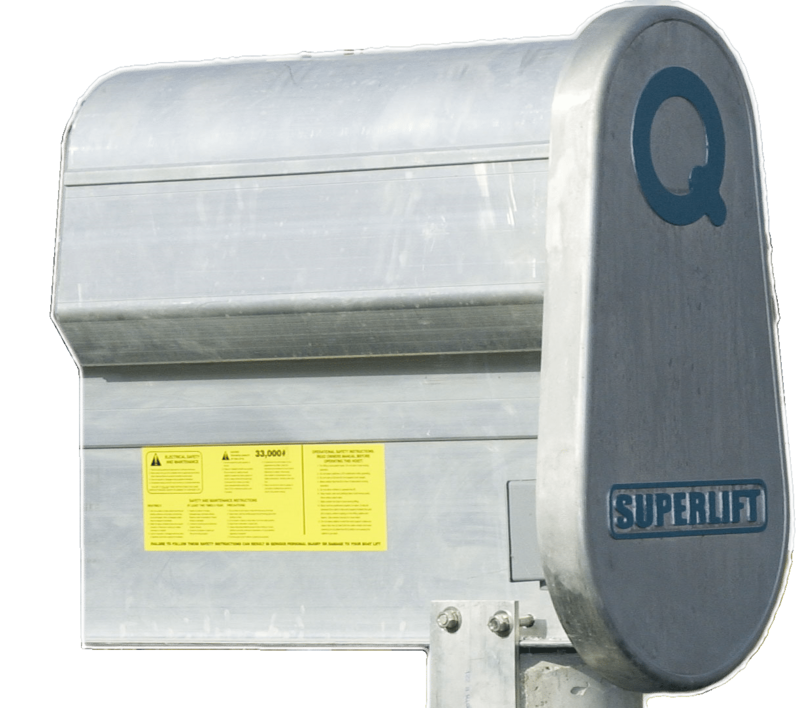 Is the lift made from aluminum or galvanized steel? Due to recent changes in EPA guidelines, the galvanizing compound now scratches off easily and galvanized steel lifts will quickly corrode. Aluminum will not corrode, but it is more expensive than steel. All in all, boat lifts are extremely valuable. 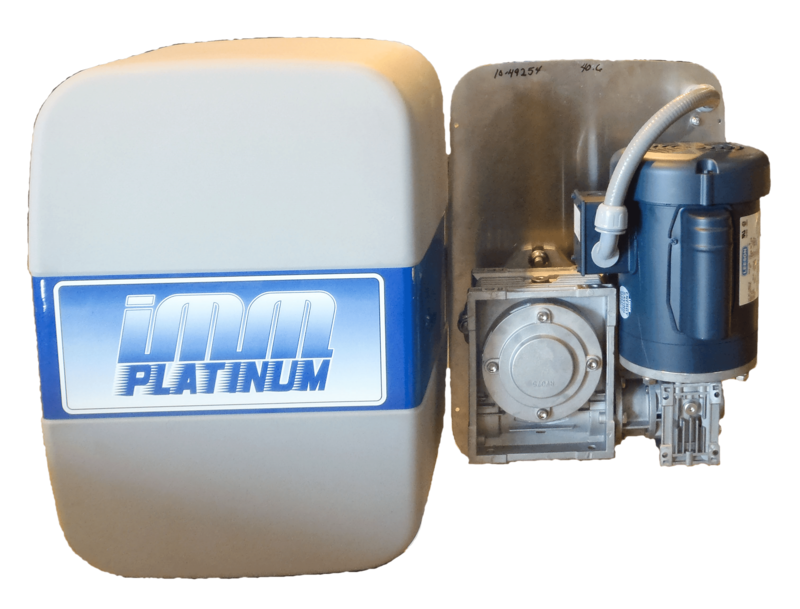 They only account for a small percentage of your overall boating expenses, yet they greatly reduce maintenance while simultaneously increasing safety and the value of your property. If you have any questions, please contact the sales team at IMM Quality Boat Lifts and they can help you choose the right lift for your home. You’ll be glad you did. PrevPreviousWhy Buy a Boat Lift?